Ränder gering braunfleckig, oben kl. 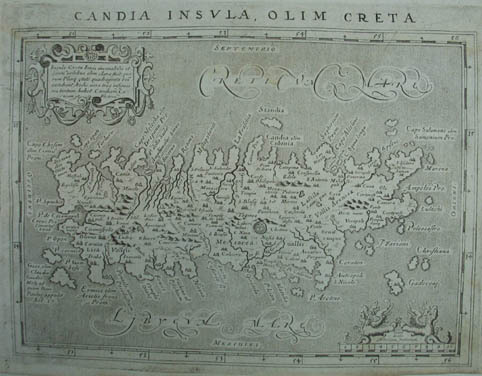 Randeinriss. 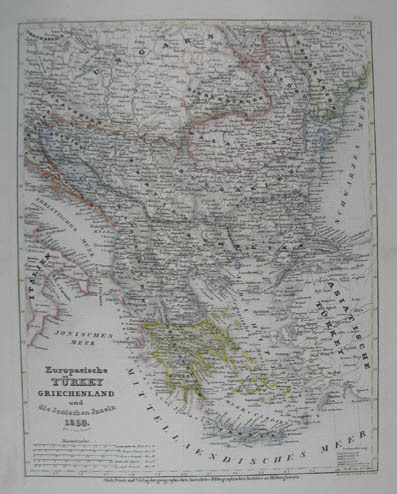 # Engraved map in original colours. 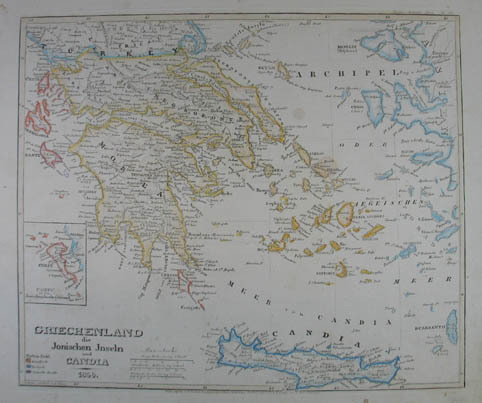 Karte des antiken Griechenland von Thrakien bis Kreta, mit den Inseln der Ägäis und der Küste Ioniens. Mit ausführlichen Erklärungen unten, links und rechts.- Gutes Exemplar. 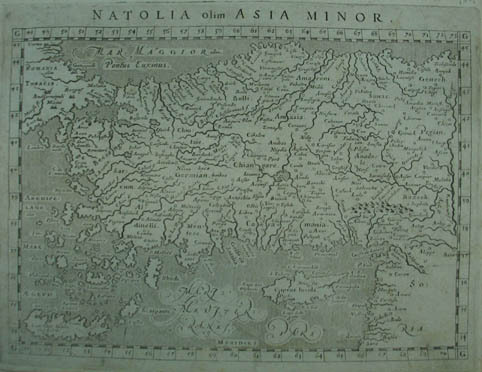 # Rare first edition; without text on verso.- The Magini s 1596 edition of Geographiae was the first reduced size version of Mercator s atlas. 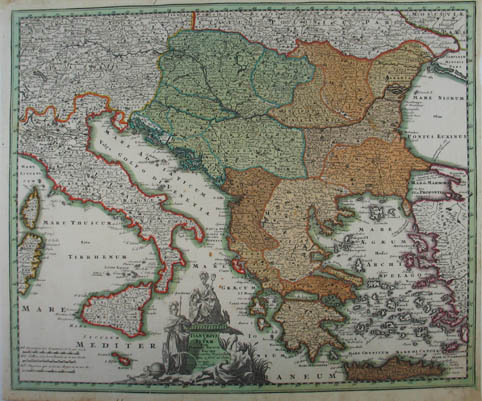 Mit einer Nebenkarte von Corfu. 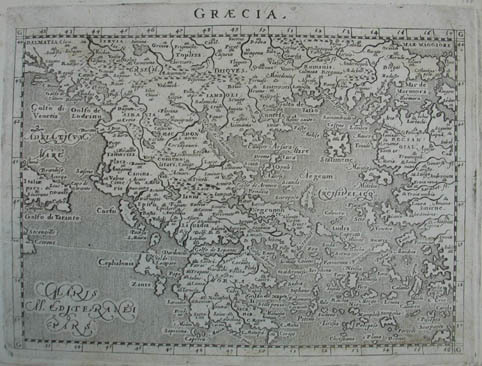 Zeigt ganz Griechenland inklusive des Archipels und Kleinasien.- Alte Faltungen geglättet. 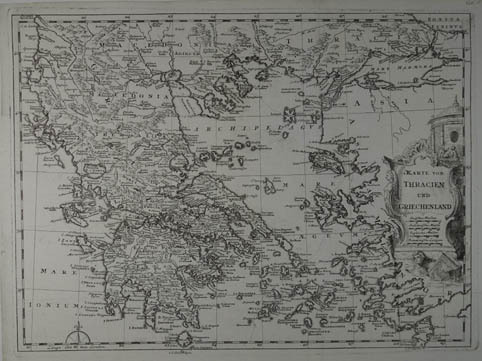 # Decorative, engraved map.- Smoothed out creases.-. 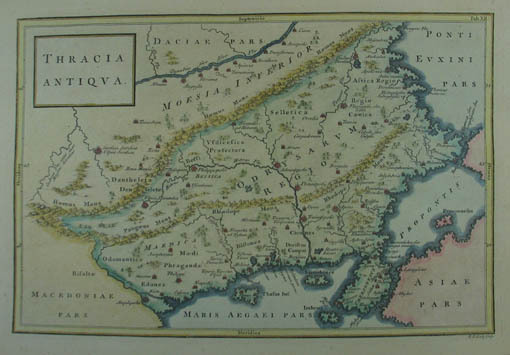 Rare first edition; without text on verso.- The Magini s 1596 edition of Geographiae was the first reduced size version of Mercator s atlas.- Below with narrow margin. # Original colour; good copy. 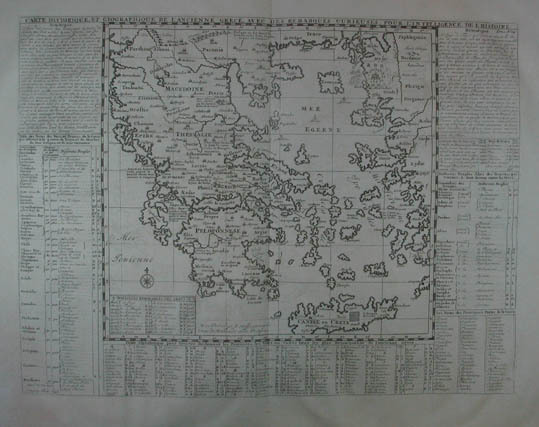 # Rare first edition; without text on verso.- Shows also Cyprus.- The Magini s 1596 edition of Geographiae was the first reduced size version of Mercator s atlas.